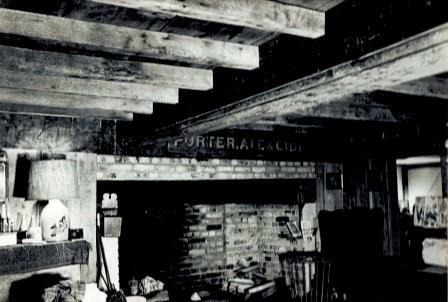 The Preston – Foster House at 6 water street is described in “Something to Preserve,” published by the Ipswich Historical Commission in 1975, as having a typical original first-period floor plan in the original front structure. In the right half are two massive quarter-round chamfered summer beams typical of the late seventeenth century. The very sharp-pitched roof and purlins add additional evidence of the early date. In the first-floor right side room is fine rich-hued and unpainted horizontal feather-edged paneling, whereas later Federal style features are seen in the central hall and upstairs fireplace walls. Ipswich deeds list the transfer of a house at this location from Roger Preston to Reginald Foster in 1657/8, but the date of construction of the house is listed as 1690, assuming the timbers are original. Small-beaded chamfering in the second-story framing would indicate a very late first period style for that area of the house of about 1730. When Roger Preston arrived in Ipswich he first purchased a lot along the river near what is now the intersection of Turkey Shore and Labor in Vain roads at or near where the Nathaniel Hodgkins house still stands. Thomas Franklin Waters notes that “evidently the neighborhood did not prove popular” and by 1644 every lot had been transferred. He then purchased this lot from Roger Wallis and built a house, but in 1655 Roger Preston sold the lot with a house to Reginald Foster, and by 1658 Preston had divested of all his properties in Ipswich. The Sidney Shurcliff Riverwalk starts at the County Street bridge and follows the river to Green Street. It was once an “old way” that continued along Water Street. This is approximately where Reginald Foster built his first house. Reginald Foster was from a respected family in the west of England. He came to Ipswich in 1638 on a vessel embargoed by King Charles, and first purchased a house lot from John Tuttle “near the great Cove of the Town River“ beneath the falls with the river to the southeast. Old town records show a “town way” continuing from Water Street along the river to where the County Street bridge is now. 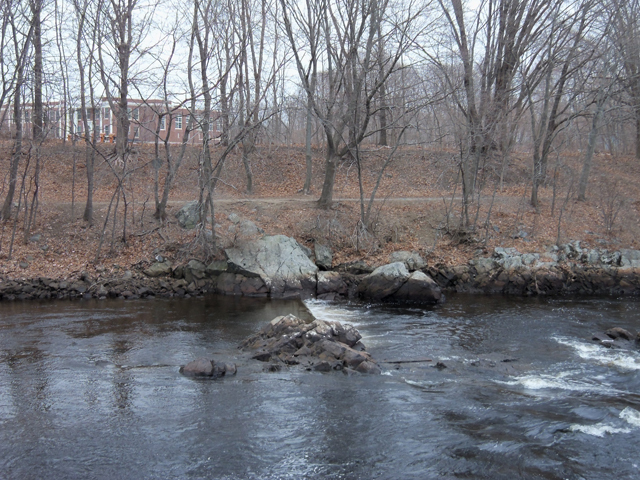 The location of Falls Island probably made the construction of small foot bridges possible at this location. This old town way is now the Sidney N. Shurcliff River Walk. Reginald Foster worked as a surveyor of highways, was very involved in town matters and owned shares in Plum Island. In his will dated April 30, 1680, he bequeathed to wife, Sarah what she brought to the marriage and other property. His son Jacob inherited the house. The Foster family acquired property around the corner on Annable’s Way (Summer Street) and together they built three of the still-standing First Period and early Second Period homes. 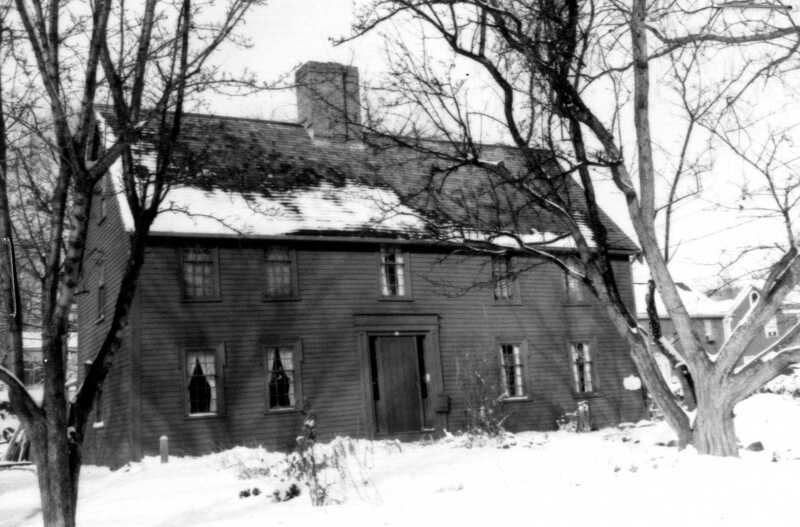 The Preston-Foster house is believed to have been built about 1690. The James Foster House built in 1717 at 46 Summer Street and the Foster-Grant house at 39 Summer Street, built in 1720 were constructed by descendants of Reginald Foster. “Be it known to all men whom it may concern that I Roger Preston of Ipswich in New England in the county of Essex, planter, and Martha my wife, for divers considerations me thereunto moving, but especially in consideration of the full and just sum of one and fifty pounds of current country pay to be paid to me or my assigns at two several payments, viz: thirty pounds at Christide next following the date of these presents and the remainder by that time twelve months in current English corn sweet dry and merchantable by Reginald Foster of Ipswich aforesaid husbandman all that my dwelling house and house lot with the barns, cow-houses and other buildings thereunto belonging and also my other house lot, both which house lots contain two acres, more or less with the gardens orchards and fences and other privileges thereunto belonging which I purchased of Robert Wallis of Ipswich aforesaid as they be situated and inclosed on the north side of the river of Ipswich, having the highway next the river toward the South, and Thomas Knowlton’s land and Robert Pierce’s toward the North. I am the 12th generation grandson of Roger Preston; He came from England on the Elizabeth in 1635. It is documented that Roger was in Ipswich from 1639 although he was probably there from when he first arrived in New England. In 1657 he sold land, dwelling house, buildings to Reginald Foster. Roger Preston was married about 1643, so it seems probable that he built the original portion of the Preston-Foster house around that time. Reginald Foster died in 1686. So the date of the house must be earlier than 1690. I was told by the current owner that the section to the left of the doorway was a later addition.